A journey of a thousand miles must begin with a single step. Whilst many believe that travel begins with the journey itself, it’s the art & science of efficient travel planning that paves the way for enriching personal experiences and discoveries. It was a desire to create a world class travel service provider & planner that inspired Regency Group to foray into the challenging and rewarding world of travel. Regency Travel & Tours was established in 1987, with a clear vision to redefine the travel experience, whilst adhering to core values of integrity and a commitment to quality. More than two decades on, Regency Travel & Tours is renowned for its impeccable service, wide array of products, creativity and its dedication to giving customers value for money. Multiple accolades and awards are testament to the company’s achievements, most notably the “World’s leading Travel Agency” by World Travel Awards, which the Regency Travel and Tours has won for nine consecutive years. The corporate travel management division services all major government and multinational organizations, handling business travel requirements, with dedicated account managers providing comprehensive data analysis and exhaustive travel solutions. Regency Travel & Tours has been at the forefront of travel innovation & technological advancement, and continues to flourish by adopting the best industry practices and by continually ushering in its own new ideas. Regency Holidays is a household name for leisure travel in Qatar, and is widely relied upon to create memorable and long lasting holiday experiences for all of its clients. Established as the leisure division of Regency Travel & Tours, it serves as a one-stop-shop for a wide variety of holiday products and services. Strategic and credible supplier relationships in every corner of the globe enables Regency Holidays to offer a wide array of services and products to suit all clients; be it for holiday groups, M.I.C.E, business travelers or local excursions. Regency Holidays has a definitive edge, by virtue of its global contracts with top hotels, apartments, local tours, sports events, medical tourism packages, entertainment parks, rail and coach services and many more, giving it access to a wide range of products & services. Over the years, through sheer creativity and experience, Regency has honed the fine art of creating unique holiday itineraries - tailor made to perfection. A 60 minute drive from Doha, near the in-land sea, Regency Holidays operates a breathtaking desert camp with private beach access, delivering service on par with the best in hospitality. An exciting range of serviced tour packages titled “101 things to do in Qatar” offers local activities in the spheres of art & culture, desert activities, water sports and city tours. Regency Holidays efficiently plays the multiple roles of wholesaler, retailer and destination manager whilst consistently representing Qatar in global trade shows such as the ITB, ATM and WTM. Myholidays.com is a Qatar Based Company and a commercial website which was established in 2015. We help users to find discount rates for travel-related purchases such as airline tickets and hotel stays. We aren’t the direct supplier of these services; instead we facilitate the provision of travel services by our suppliers to our customers. We offer deals in regular and charter flights, low-cost airlines, hotels, dynamic packages, holiday packages and travel insurance within its localized sites across 13 countries and territories, offering prices in local currencies - Australia, Germany, Egypt, Spain, France, Italy, Singapore, South Africa, United Arab Emirates, Saudi Arabia, Qatar, United Kingdom and one common website for the rest of the world in English. We’re explorers, just like you. We love to go beyond what our eyes see, and discover new worlds. We do that by providing you with the tools to travel. Easy, quick, safe and accessible travel planning online. Log in, search and book your trip in a matter of minutes, pack your bags and off you go! We’re all on the go. It’s the digital world, so book all your travel plans online. With the latest safe and secure booking technology, you have no excuse. We’ve made it pretty easy for you. Al-Baladiyah St., Regency Bussiness Center (RBC)Floor No.8, Flat No.801, Doha, Qatar. Regency Fleets was established to offer automobile leasing service to clients as an alternative to owning and maintaining vehicles. Our fleet consists of 1,200 well-maintained vehicles that can be leased either on a short-term or long-term basis at reasonable prices. The automobiles we offer range from economical passenger cars, commercial vehicles, and luxury coaches. 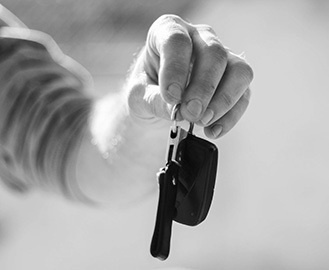 Clients have the option to hire drivers for their leased vehicles. The chauffeurs we provide are bilingual and well-trained. We prioritize our clients’ comfort and convenience which is why leasing a vehicle with us comes in three easy steps: search, select, and book. Our ‘Dial and Drive’ service will ensure that your leased vehicle will be delivered to any point in Doha for free. Our clients’ safety is also our concern. That is why we have invested in building ‘Regency Car Care’, a state-of-the-art automobile workshop that looks after all the maintenance and tune-up needs of our fleet. We also have ‘Regency Roadside Recovery’ available 24/7 for roadside vehicle repair and towing. In 2015, we were awarded as Qatar’s Leading Car Rental Company at the World Travel Awards. Our wide and reliable range of vehicles, competitive rates, and excellent customer support has enabled us to gain loyal clients for over five years. Our quality service continues to generate positive feedback from customers as most of our new clients come to us via referrals and recommendations. By booking a vehicle with us, customers know that they can enjoy a safe drive around Qatar..
P.O. Box 9012, Doha, Qatar.